What is a Keyword and why do you need on your website? Keywords are single words or phrases that people use in search engines such as google to find answers to their questions. When keywords or phrases are used, search engines will compile a list of websites that match what you appear to be looking for. When conducting a search on Google or any search engine you want to ensure that you are using words that illustrate the topic you are searching. For example, if you are doing a search to see where you can buy dog food that is wheat free you may want to include words such as Allergies, Dog Food, and Wheat. This way Google will know how to narrow your search. 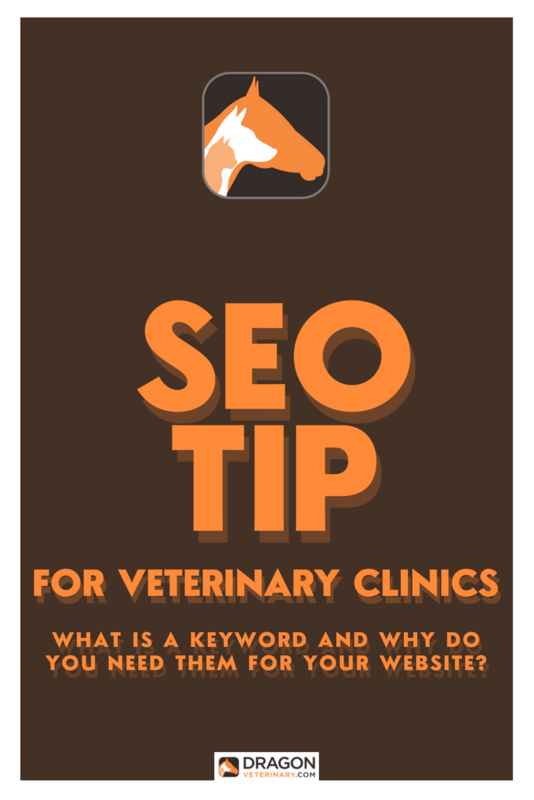 So what do adding Keywords mean for your Veterinary clinic? When developing a website for your clinic you need to think like a pet owner and brainstorm the keywords they may search when they are looking for a veterinarian in the local area. This will be part of your Search Engine Optimization (SEO). Through Google Keyword Planner, you will be able to collect a list of primary words that should be incorporated naturally into your website as a way to drive online traffic. If your clinic specializes in a particular kind of veterinary medicine be sure to emphasize the type of medicine through the use of keywords. In addition to the primary keywords, Google Keyword Planner can help you find secondary and tertiary keywords and phrases. These words and phrases can also be used in natural phrasing. When writing a blog post or a page on your website it is important to add the URL to your website where the customer can book an appointment and get contact information, Using keywords is important but be sure to not use the words too many times. Good ranks websites high if they include the keywords naturally but will mark a website as spam and decrease their ranking if they look like they are over doing it with keywords. Want to learn more about How to Market your Veterinary Clinic Online?